BETHLEHEM, West Bank — God gives everyone a mission, Diana George Babish said as she fielded a phone call about a dog who had been shot in Hebron. The mission God gave her is to take care of the abused and abandoned animals in the West Bank and the Gaza Strip, she said. “God is pushing me to do this work. I believe it is something sacred,” said Babish, who uses an image of St. Francis surrounded by animals for her online profile. 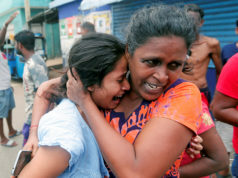 Babish, a Catholic, admitted that it is not an easy mission in a place where, traditionally, society gives little importance to treating animals with compassion and routinely considers government-approved shooting and poisoning of stray animals as the best solution to population control. “It is very difficult for me with the culture here; it is a very closed mentality,” she said. 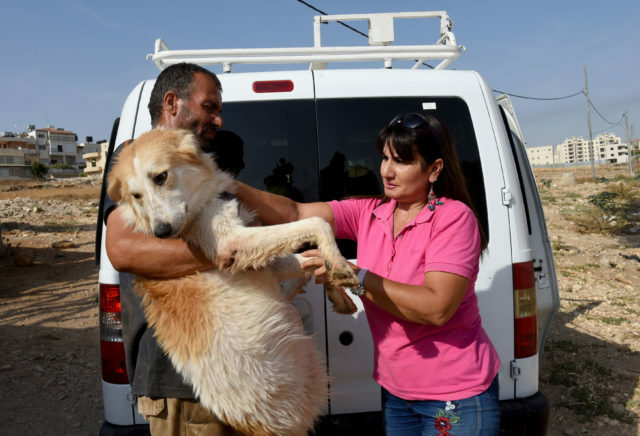 She spoke to Catholic News Service as she was trying to coordinate the injured dog’s transportation to her animal shelter in Beit Sahour, a village adjacent to Bethlehem. Her day began with the rescue of a 3-week-old puppy who was being kicked around like a ball by a group of schoolboys. A few years ago, she traveled to Assisi, Italy, and she said she continues to draw strength for her work from the pilgrimage. 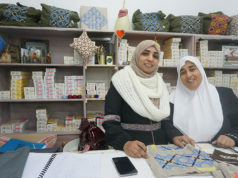 Last year Babish, who is in her late 40s, quit her day job as a bank manager to dedicate herself full time to running the first animal shelter in the West Bank, the Animal and Environment Association–Bethlehem Palestine, which she established in 2013. In addition to $13,700 she received in donations, Babish used $20,000 of her own money to build the shelter. Currently it is run solely on donations and other forms of assistance, some of which also come from Israeli animal rescue organizations and individuals. Many of the dogs and cats she has rescued have been adopted or are being fostered by Israelis. By early October, she had rescued more than 400 dogs and more than 100 cats from the streets of West Bank cities. Recently she sent 15 dogs for adoption to Canada. Babish has many critics within Palestinian society, including members of her own family, who complain that she is working with Israelis and spending her efforts on animals rather than people. Some charge her with profiting from the donations she receives, she said. Still, Babish brushes off the insults and accusations thrown at her. It was close to 9:30 p.m. and she had not yet eaten her dinner. She was working out the logistics of how to take three puppies and one adult dog to their foster homes in central Israel, then take other animals to a veterinary clinic to be treated and neutered. She also was preparing travel papers for a cat who was to be flown to her new home in Sweden. Babish has 11 board members, 13 general members and two workers who help her in the day-to-day work at the shelter. Slowly she is making inroads into changing societal views about animals and rescue, she said. The reality of life as a Palestinian is never far, though, and Babish must have an Israeli travel permit to go into Israel. She and a driver make rounds in Israel several times a week.